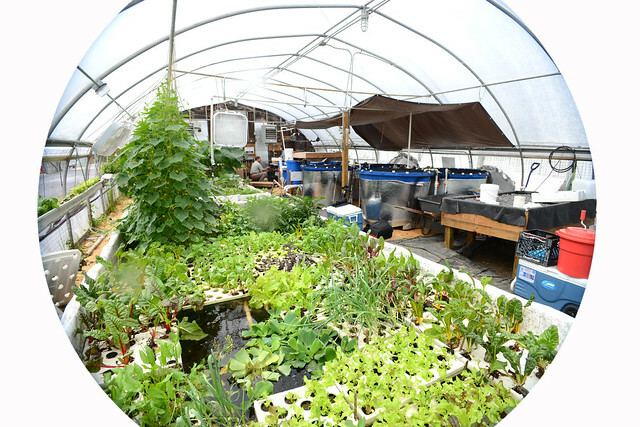 This week’s post visits an aquaponics lab in Baltimore, MD run by the Johns Hopkins Center for A Livable Future. While the lab’s focus is on education and research, many people are looking to aquaponics as an emerging tool for large-scale, sustainable food production. Farm manager Laura Genello explains how their system works, what it’s advantages are over traditional growing techniques, and what some challenges are that still need to be dealt with. CLF Aquaponics 1 from MIT CoLab on Vimeo.